When we last left off, I was in Amsterdam for less than 48 hours for the mobile launch of Spil Games/GirlsgoGames incredibly popular desktop title: Sara’s Cooking Class . To review: Sara’s Cooking Class is a desktop game with 50 million users worldwide. 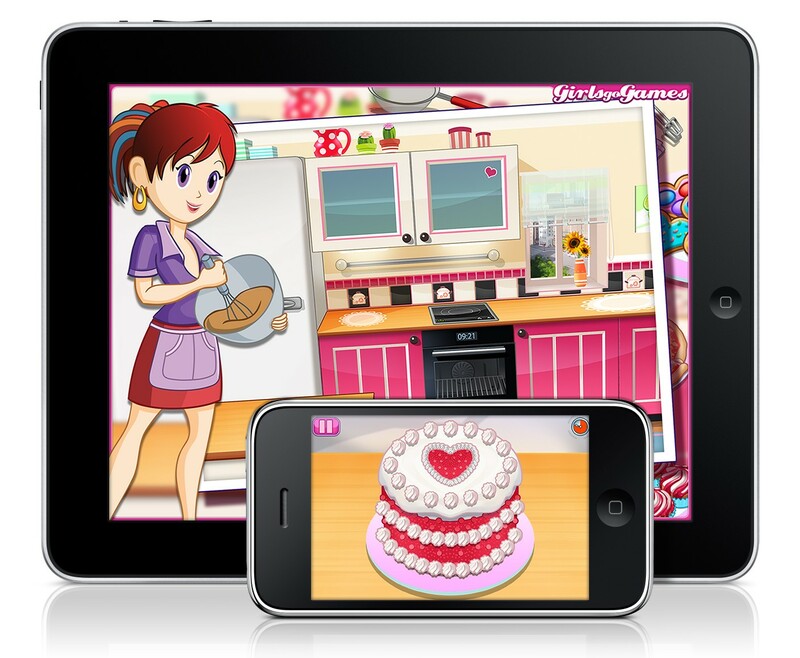 Under the tutelage of Sara, an animated chef, tween girls learn to cook in a virtual kitchen. I played the game, and enjoyed it (I made macaron!) but I really try to stay away from playing games on my desktop. Hence I dare not sign up for WoW , SWOTOR or Guild Wars 2 – once I get entrenched in these types of games, I find it very hard to leave the computer. Or get any work done. When you work from home, you have to be disciplined, and I am already severely lacking in the discipline it takes to say, “I don’t need to complete another mission.” I realized this back during ye olden days of Myst . But I do play games on my phone and iPad (*cough* JapanLife *cough*). I don’t feel guilty when I’m killing time on my mobile, as opposed to the crushing guilt I apparently feel sitting in front of the computer, leveling up a character, or beefing up my cities in Hex Empire. In Sara’s kitchen, you choose a recipe, (and they are ACTUAL recipes that you can cook IRL) and get started pulling out tools and ingredients. There’s a helping hand that will guide you through what you need to do, or you can choose to challenge yourself by noodling around on your own and figuring things out for yourself. The idea behind the game is that tween girls will be inspired to cook for themselves in a real kitchen, and be excited about making meals. Or, and I think Melissa Wiley will agree with this point, you can view it as a way of covertly training your children to cook wonderful gourmet meals for you, while you lounge around the house reading food magazines, tearing out recipes for them to try. There’s a light version, which only has a couple of recipes to choose from. But for $2.99 you get the whole catalog. There’s home made pizza, sushi and red velvet cake. And recipes will be updated and added to as time goes on. For instance, when Christmas time rolls around, expect to see holiday recipes on the site. A player earns points as they complete each task successfully, and you’re awarded stars for every success. For our last night in Amsterdam, Spil games took all the guests out to dinner on a boat, cruising the famous canals. But the catch was: We had to cook our own dinner! To celebrate Sara inspiring young girls to cook for themselves, we were paired up into teams and were tasked with making an item on the menu for the evening. My partner Scott and I were assigned potatoes. Here’s the thing. I’m a good cook. But I am not a fancy cook, or a professional cook. I never sift flour or confectioner’s sugar, but so far, nobody has ever spit out one of my cookies or a piece of my cake and said, “YUCK THIS HAS UNSIFTED FLOUR IN IT.” I’ve taken a couple of cooking classes, and I always get snapped at by the chef in charge for something. This night was no different. The chef who oversaw us was nothing like the warm, wonderful, and extremely supportive Sara. There was no, “Great job!” Mostly there was, “You are cutting the potatoes too small!” or “You don’t know how to cut shallots!” And even though our potatoes were delicious, I was TREMENDOUSLY disappointed not to get three gold sparkly stars at the end of the meal. Sad Panda. The game will be available in seven languages – so it’s great for those of you who are doing language immersion. The English version of the game has some glitches in the written language of Sara’s bubbles, it could use a quick copy edit for punctuation and spacing, but it’s nothing that an update can’t fix, and doesn’t hinder the gameplay. Mary Heston of Wired: Safety was at the presentation and she brought up some great points/questions. One of them was in regards to the way Sara was dressed — she has a low cut blouse and a midriff baring top. The folks from Spil were pleasantly transparent in their answers. They had designed the character this way, and then had feedback from parents that they were uncomfortable with the attire, and are making changes. I noticed in the promotional material they gave out that Sara’s belly is now covered up. Whether you are a cook or not — and maybe especially if you aren’t a cook — the game is a great way for mothers (and fathers) to bond with their children. You can use Sara to initiate conversations about different kinds of food, where our food comes from, and what goes into making things. It’s important to talk about these things early on, since a relationship with food can turn into a relationship with one’s self image. Travel was provided for review purposes.